West Virginia is short on neurologists. According to David Watson, who directs the West Virginia University Headache Center, the state has just half of the neurologists it needs. This scarcity can cause problems for people with migraine whose primary physicians aren’t trained or equipped to treat—or even diagnose—their more complicated cases. A recent study Watson conducted with Umer Najib, the director of WVU’s Headache Medicine Fellowship Program, and Melissa Moore, a neurology resident in the WVU School of Medicine, explored how the healthcare system underserves people with migraine in rural areas. Their findings—published in the February issue of Current Pain and Headache Reports—implicate a lack of practicing headache specialists. Geography alone can make seeking care especially difficult for rural people with migraine. When Watson and his team considered all patients seen in the WVU Headache Center over a month, they discovered the average patient traveled 70 miles, one way, to get there. The most far-flung patient in their sample traveled 235 miles. That’s a four-hour drive. The researchers learned that migraine’s economic impact tends to be compounded in low-income areas. That’s pertinent to rural counties, where poverty proliferates. As the U.S. Department of Agriculture reports, 85 percent of the “persistently poor” counties in the United States are nonmetro. Although people in poverty are at a higher risk of migraine, they may have a harder time affording the migraine treatment they need. “It’s not infrequent that patients tell me they struggle to come see us because of the gas mileage. Or, they don’t drive, so they have to get a friend to bring them,” Watson said. He’s working to reduce the distance—and the related travel expense—that people with migraine in West Virginia face when they seek specialized care. 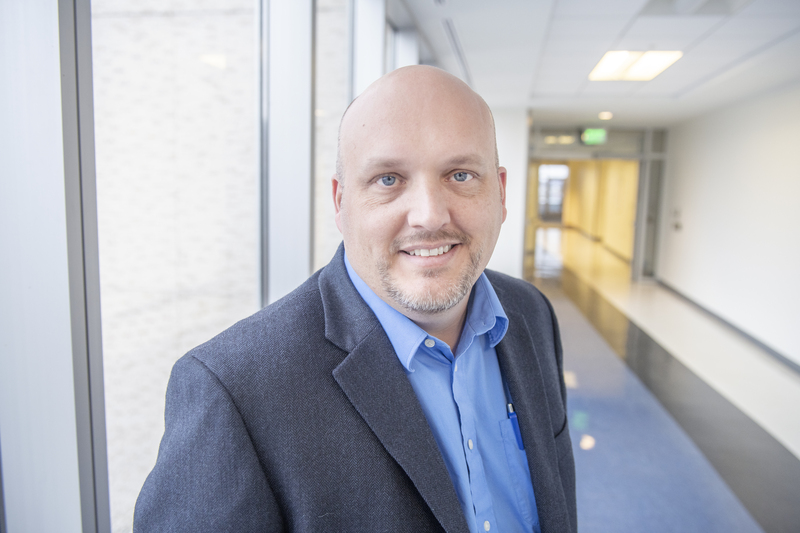 An avenue he is pursuing is broadening the WVU Department of Family Medicine’s Rural Scholars Program to encompass neurology. The program—which already comprises pediatrics and internal medicine—makes it possible for medical residents to do rotations in rural West Virginia. He’s also considering expanding the Department of Neurology’s residency program to include rotations at satellite clinics across the state. On a larger scale, Watson is in the “very early stages” of working with the U.S. legislature to help immigrant neurologists find positions in West Virginia. “We have this shortage of physicians in neurology, and it’s not like we’re preventing U.S. citizens from taking these jobs,” he said. “There area significant number of international medical grads who come here to do their neurology residency, and then their choice is either to find a position that will grant them a waiver to their visa requirements or to go back home for two years.” Like all other states, West Virginia is allotted 30 visa waivers, but they’re divided among all of the hospitals in the state and all of the specialties, which leaves few for neurologists—and even fewer for headache specialists. “Thirty’s just not near enough to solve the problem,” Watson said. “The reality is, yes, it would be great to put a neurologist in every small town, but every small town probably can’t support a neurologist. But if you have a neurologist in every third or fourth small town, that would be helpful.” So would more neurologists who practiced in Morgantown but diagnosed and treated rural patients through telemedicine or satellite clinics.